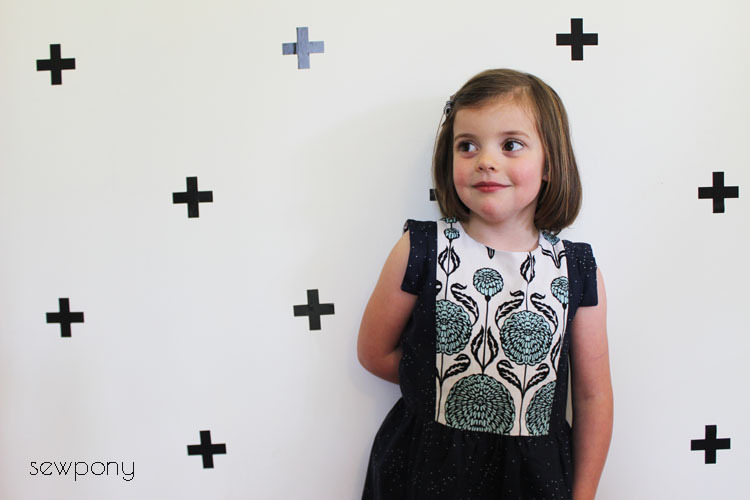 While the lovely ladies on my tic tac toe dress tour were sewing up and sharing dresses, I as making this little dress for Emily. 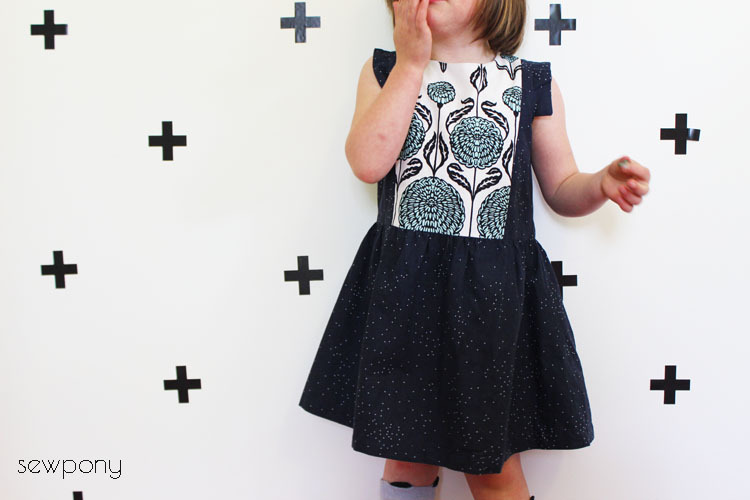 I really wanted to make a tic tac toe dress with just the centre panel being the main feature print, while keeping the rest of the dress in a plainer print, like Anke did here. I had some lovely Sprinkle in counting stars (Cotton and Steel) that I purchased from Hawthorne Threads a while ago that I knew would look beautiful as the main fabric with whatever I paired it with. I had a tiny bit of the Chrysanthemum in egg blue (Gilbert Blythe anyone?) fabric (Joel Dewberry - also from Hawthorne Threads) leftover from Emily's quilt. 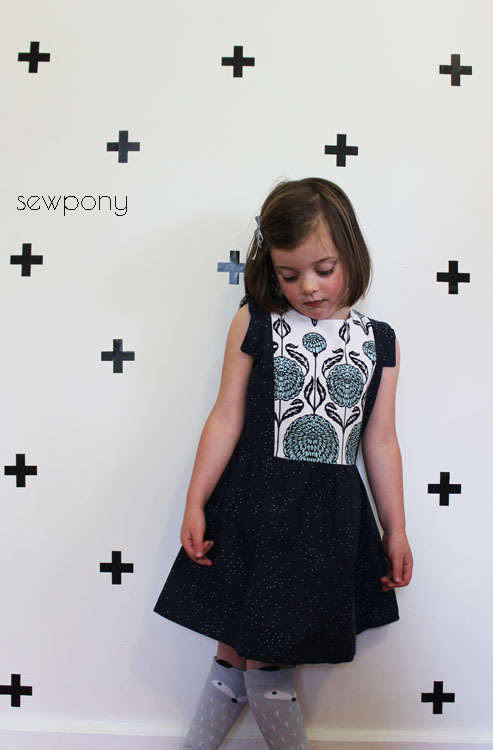 I absolutely love this print and was glad there was just enough to cut the centre panel and sleeve linings! So this is View B bodice with small rectangular sleeves, regular gathered skirt (no pockets) and regular back. 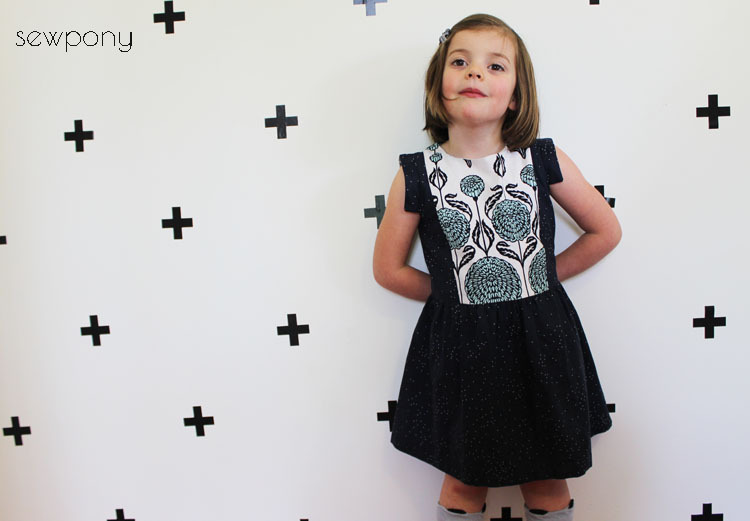 Emily has already worn it enough times that some stain remover is required around the neckline! 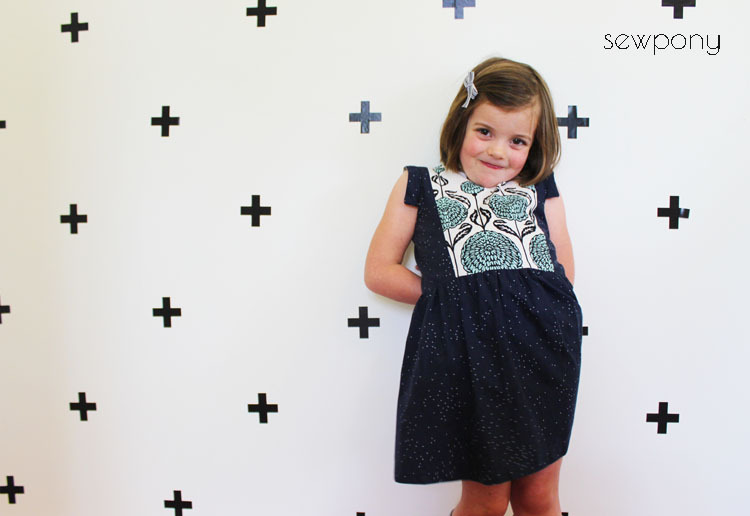 I have one more tic tac toe dress to show you this week and then it is on to some Christmas sewing for the girls!! I like this version a lot! The feature fabric is unique and gorgeous.